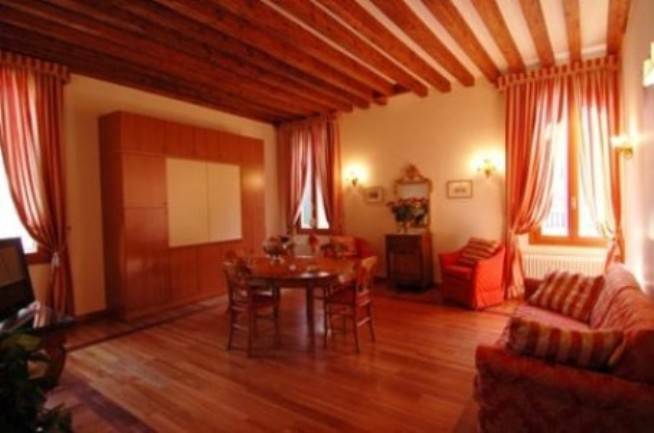 Three apartments on the same floor and only a stones throw from St. Mark square! Venecia ... El lugar es increible, es un espacio muy cuidado y acogedor. Los dueños muy amables yd e trato excelente. Es un espcio preciosa. éntrico pero lejos del aluvión de turistas, silencioso.Gracias. With great enthusiasm we decided to dedicate us to the passion of giving hospitality to families, couples, friends or persons in business, putting to they disposition comfortable and finely renovated apartments. 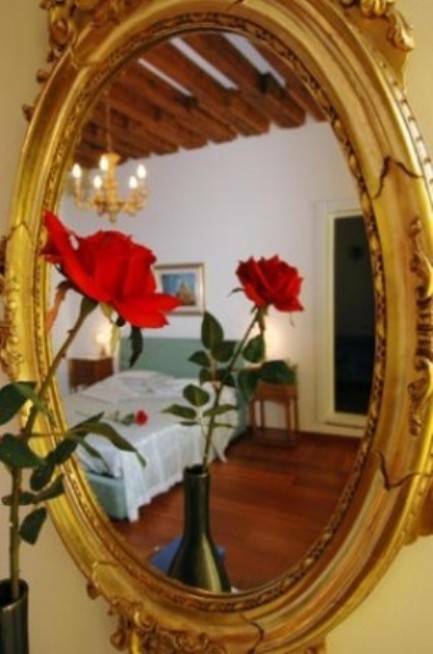 Venetian Atmosphere chooses for its own hosts apartments situates in the heart of the city, with the convictions that an apartment is the ideal situation for giving that degree of independence and autonomy that is more appreciated from the visitors. Our purpose is make you to dip in the life of the city, in the way to make feel you like to yours house. We have the pleasure to put at Your disposal the services with an optimal relationship quality/price, and you will have the opportunity to realize it by yourselves. We are on hand of the customers supplying assistance during the permanence in the city. At your arrival you will be able to contact us and we will be pleased to wait for You nearby the apartment, in the place that we will agree. 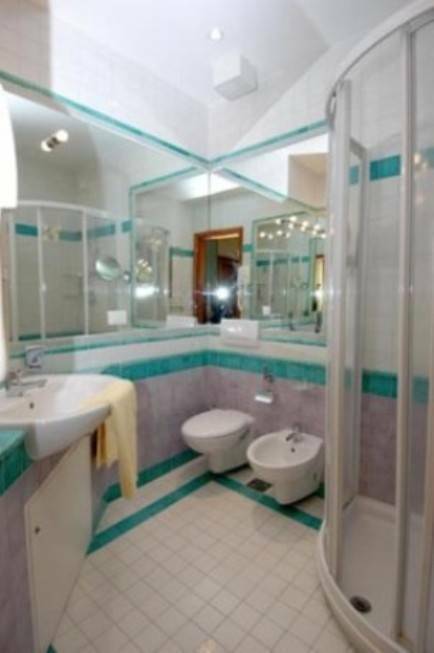 Three apartments to second floor of 60/70 sqm for 4/5 places bed everyone with views of San Marco Tower and entrance trought the private 'corte', composed of entrance, living-room with a big-double sofa-bed, cooking zone, double bedroom and third bed, bathroom with shower. The floors are in parquet, and the ceiling with wood-beams on view. Bed linen and towels for bathroom included (change towels every three days and change bed-linen every 7 days. Extra change on payment). Cleaning of the apartment at your arrive and departure. The guest has to comunicate the arrival time at least a day before the beginning of the location, and, however, should be fixed from 3:00 p.m. and 7:00 p.m.,the case that the arrival time will be fixed after 07:00 p.m. (and in possible not over 11:00 p.m.), the Guest will have to pay an extra charge of 25,00 euro. Or different arrival time, the confirmation will be communicate to the Guest in agreement with the Owner. Departure time will be included from 08:30 a.m. and 10:00 a.m. Upon arrival in apartment, at the time of the delivery of the keys, the guest is required to pay the full balance of the price. 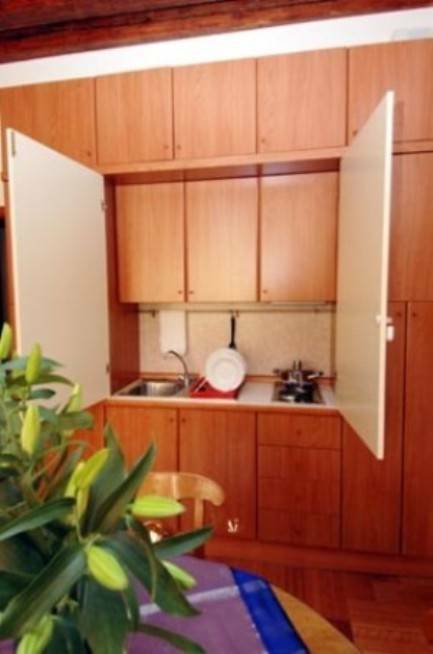 We ask a caution of 350 Euro to your arrival that will be redelivered you to departure (or authorization with credit card), for the particular merit of the furnishing of the apartments. The guest has to comunicate the arrival time at least a day before the beginning of the location, and, however, should be fixed from 3:00 pm and 7:00 pm, the case that the arrival time will be fixed after 07:00 pm (and in possible not over 11:00 pm), the Guest will have to pay an extra charge of 25, 00 euro. Or different arrival time, the confirmation will be communicate to the Guest in agreement with the Owner. Departure time will be included from 08:30 a. m. and 10:00 a. m.
From Tronchetto parking: Take waterbus A. C. T. V. N. 82 direction Rialto and go down to Rialto stop. From M. Polo Venice Airport: Take bus A. C. T. V. N. 5 for Piazzale Roma and after take waterbus A. C. T. V. N. 1 or 82 direction Rialto and go down to Rialto stop. From M. Polo Venice Airport take waterbus Alilaguna to San Zaccaria (San Marco) stop. From RIALTO (5 mn), go to right for around 150 meters, go to left on 'Calle Larga Mazzini' for around 50 mt., reached the 'Campo San Salvador' to turn to right and continue rights for around 50 mt. and cross the bridge. Reached the intersection to turn to left and take 'Calle dei Fabbri'. Continue rights, to overcome the bridge and to turn to the 4th road on right, to continue rights for around 100 meters and you arrive in 'Campo San Gallo'. Immediately near cafe there is a underpass with a little gate from which is accessed the private court and you are arrived. YOU WILL FIND HERE TO ATTEND YOU OUR APPOINTEE THAT YOU HAD PREVIOUSLY CALLED. 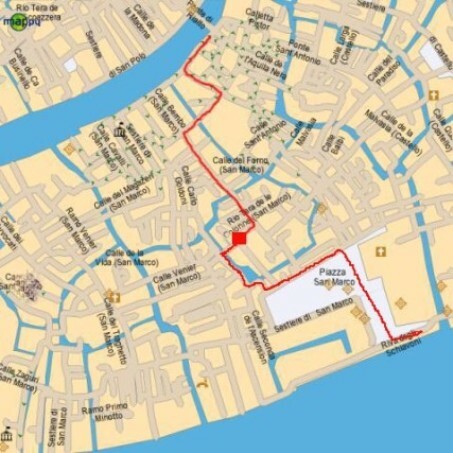 From 'SAN ZACCARIA' (5 mn) to go in near St. Mark plaza to little distance from waterbus stop. You leave the Basilica the shoulders, to go the underpass of the right side of the Plaza for around 200 mt. When arrive the last transversal, turning to the right, you arrive to 'Bacino Orseolo' where there is parking of the gondolas. Cross the sidewalk along the channel for around 100 mt. To pass to the right the bridge and to continue for 30 mt. you arrive at 'Campo San Gallo.' Immediately near cafe there is a underpass with a little gate from which is accessed the private court and you are arrived. YOU WILL FIND HERE TO ATTEND YOU OUR APPOINTEE THAT YOU HAD PREVIOUSLY CALLED.